​Arsenal are the latest top European club now being linked with emerging Cagliari midfielder Nicolo Barella, with the player describing himself as 'proud' to have interest from clubs like the Gunners, Manchester United, Liverpool, Juventus, Roma, AC Milan and Inter. Barella enjoyed a fine 2017/18 Serie A campaign with Cagliari and has started the new season strongly as well. The 21-year-old has also been rewarded with his first two senior caps for Italy in the last few days, featuring against Ukraine and Poland. It has been suggested that the €50m (£44m) rated talent could be Arsenal's replacement for Aaron Ramsey, with the Welshman widely expected to leave as a free agent in summer after running down his contract, or sooner if the club chooses to cash in while they still can. 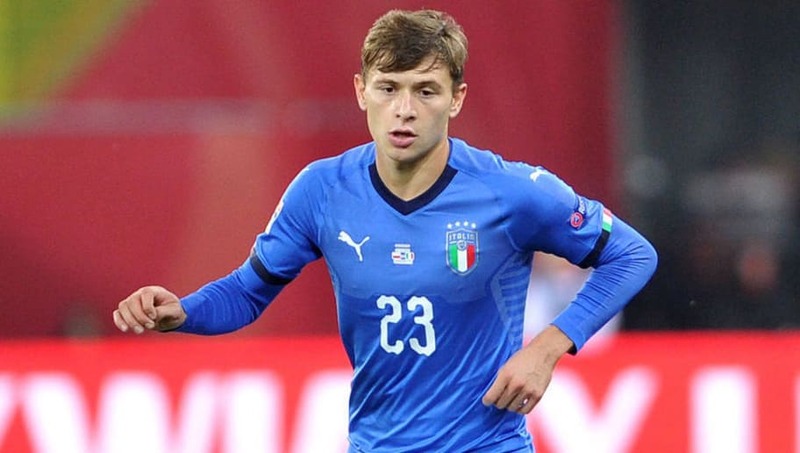 Speaking about his future, Barella played it cool, but also acknowledged that he is happy to be linked with so many big clubs because it shows that he is doing something right. "I'm not the one who sorts out the transfers," he is quoted as saying by CalcioMercato after speaking to the media in his native Italy. "It's the agents, presidents and clubs who do that. I only think about Cagliari and to stay up in the league. We'll see about the rest. The interest from big clubs is pleasing, and makes me proud. It means I'm doing the right things." Arsenal are looking to extend a winning run to seven consecutive Premier League games when domestic football returns at the weekend. The Gunners host Leicester at the Emirates Stadium.